After a slump in starts last year, the Northern Irish construction sector is likely to bounce back in 2019, but some areas will remain challenging. Glenigan recorded a 20% fall in the underlying value of construction starts in the province in 2018, but this year has started more promisingly. Construction starts leapt by 29% in the three months to February 2019. The devolved government in Northern Ireland collapsed in January 2017 but the commercial construction sector has remained resilient. Deloitte’s 2018 Belfast Crane Hire Survey showed that 34 major schemes were under construction in the province’s capital last year with 21 schemes completed in 2018 and nine set for completion this year. “Belfast has sustained momentum and a high level of ambition through 2018, with construction schemes across the city centre. This is in spite of potentially disruptive macro forces in play including Brexit, and the lack of an executive at Stormont,” said Deloitte. 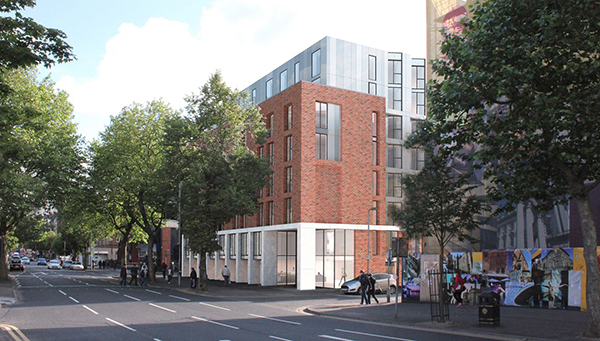 A community plan set by Belfast City Council to provide 1.5 million sq ft of new office space by 2021 is boosting development. In 2018, 610,569 sq ft of office space was under construction in Belfast - up 35% on 2017. The Belfast Agenda aims to increase the city’s residential population by 70,000 people before 2035 and starts are rising. In the quarter to January 2019, housing starts leapt 65% according to the National House-Building Council and Glenigan’s construction industry data shows more than £300 million-worth of private housing projects secured planning permission in Northern Ireland in 2018. Private sector housing-building and commercial construction work rose in the Q3 2018 survey from Tughans and the Royal Institution of Chartered Surveyors but there were falls in public housing, public non-housing and infrastructure. Data from the Department for Infrastructure shows that in the 2018/19 financial year a total of 68 contracts will be awarded. The total value of these schemes is just £24.7 million. Some of these contracts are long-term deals and are due to run for up to five years in a number of cases. This low-level of spending is attributed by the lack of a government, which has slowed construction spending in some key public sectors. Glenigan’s construction industry data shows that infrastructure starts slumped 78% in 2018, while health construction starts shrank by 77%. Going forward, the commercial and residential sectors looks likely to remain key to improvement in fortunes for the Northern Irish construction industry.